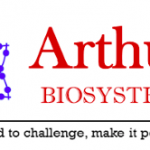 Arthus Biosystems is a biotech company providing a unique series of tools against S-adenosylmethionine (SAM, AdeMet, SAMe) and S-adenosylhomocysteine (SAH). Arthus Biosystems helps to better understand S-adenosylmethionine (SAM) and S-adenosyl-homocysteine (SAH) and bridges the gap between what we know about SAM and the potential applications in clinical diagnostic and medication practices to benefit the general public. S-Adenosylmethionine (SAM-e, SAMe, SAM, AdoMet, ademetionine) was discovered in 1952 and it’s made from Adenosine Triphosphate (ATP) and Methionone by Methionine Adenosyltransferase. S-adenosylmethionine is a critical metabolite in most living organisms, performing important functions of transsulfuration, transmethylation and aminopropylation through decarboxylation. SAM is the sole methyl donor for a variety of methyl-transfer reactions in DNA, RNA, proteins, lipids, phosphilipids, hormones and neurotransmitters. SAM controls gene expression by binding to structural domains embedded within the non-coding region of certain mRNAs. Since SAM is an intrinsically unstable molecule, the determination of its concentration in various biological fluids has always been a challenging task. Arthus Biosystems has generated mouse monoclonal antibodies against S-adenosylhomocysteine (SAH) with a strong sensitivity and able to detect free SAH molecule in bio-samples (serum, plasma and urine). Arthus Biosystems developed direct and indirect ELISA to quantitatively measure SAM and SAH. The sensitivity from ELISA procedure for SAM can reach as low as a few nanomolar/liter. Arthus Biosystems’ tools allow the measurement of S-adenosalmethionine and S-adenosylhomocysteine at the same time in biosamples quickly and easily. Arthus Biosystems is based in Richmond (California, USA) and completely dedicated to develop several formats of immunoassays detecting SAM and SAH from biosamples without costly equipment. This entry was posted in Biotech Companies, Biotech Companies USA and tagged AdeMet, ademetionine, Adenosine Triphosphate, adenosylhomocysteine, adenosylmethionine, Adenosyltransferase, AdoMet, aminopropylation, Arthus Bio, Arthus Biosystems, Arthus Biosystems - S-adenosylmethionine and S-adenosylhomocysteine, ArthusBio, ArthusBio.com, ATP, biosample, biosamples, decarboxylation, ELISA, metabolite, Methionine Adenosyltransferase, Methionone, mouse monoclonal antibodies, S-adenosylhomocysteine, S-adenosylmethionine, S-adenosylmethionine and S-adenosylhomocysteine, SAH, SAM, SAM-e, SAMe, transmethylation, transsulfuration by Biotech365. Bookmark the permalink.